INDUSTRY.co.id - Bengkulu - PT Freeport Indonesia has the potential to raise its holding or holding assets to Rp200 trillion if it is 51 percent owned by PT Inalum. "Yes around that, almost Rp90 trillion, it will later be used to manage the mineral and coal wealth (minerba) in Indonesia," he said. Currently, according to him, the holding of SOE mine is still formulating the goal planning strategy for the period of three months ahead. 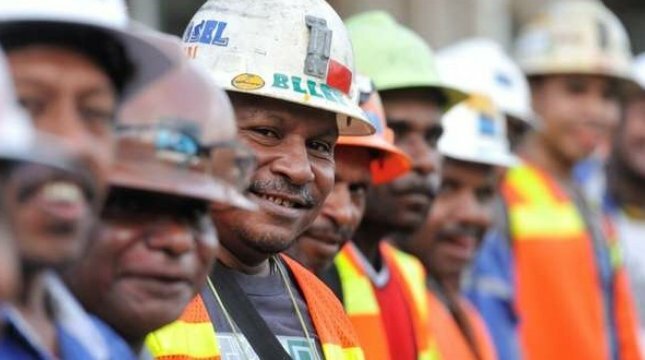 The establishment of holding company (holding) BUMN mining is expected to provide benefits for all stakeholders so as to create state-owned mining industry capable of becoming a regional player. Meanwhile, Deputy for Mining Business, Strategic Industries and Media Fajar Harry Sampurno said the synergy of state-owned mining is also expected to improve efficiency and financial strength to facilitate the development of business, especially in the field of downstream. According to Harry, according to the plan there are three members of the holding company of state-owned mining company PT Aneka Tambang Tbk (ANTM), PT Bukit Asam Tbk (PTBA) and PT Timah Tbk (TINS) will hold a Shareholders General Meeting (RUPSLB) on November 29, 2017. "The main agenda of the EGMS is to seek shareholder approval of a shareholder change to PT Inalum (Persero) which is 100 percent owned by the state," said Harry as quoted by Antara. Despite changing status, the three members of the parent company remain treated equally with SOEs for strategic matters so that the state retains control over the three companies, either directly through dwiwarna or indirect shares through PT Inalum (Persero) which is 100 percent of its shares owned by the state. It is regulated in PP 72 of 2016.